This is an original Layout Drawing from the MGM Studios production Wee Willie Wildcat (1953). 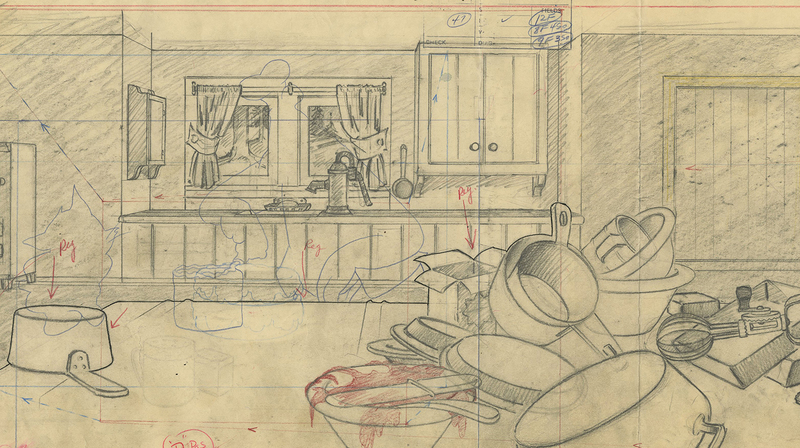 This Layout Drawing features an outline of Barney Bear amdist a details background layout image, and was created at the studio and used during the production of the film. The overall measurements of the piece are 10.5" x 39.75" and the image itself measures 9.25" x 36.5". This drawing will ship folded, as it has been stored.